RUSH: Jerome in Traverse City, Michigan. 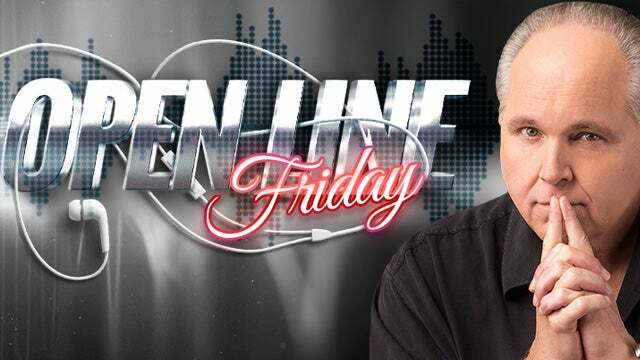 You’re next on Open Line Friday. Hi. CALLER: How’s it going, Rush? RUSH: Hey! We’re doing great today. Thank you. CALLER: Well, I’m just calling in to say that, you know, you saved my life, man. You changed my life completely around. You saved me from a bad place. I made a mistake when was 18 years old and got sentenced to 18 years in city in Texas, right? I’m from Traverse City, though, up here in Michigan. 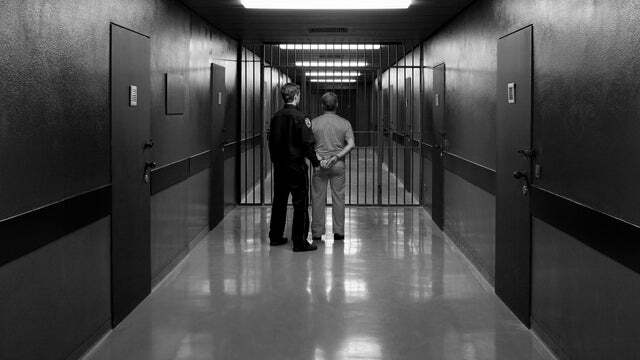 And four years into my eight year sentence I got segged up [put in Administrative Segregation, a form of solitary] because I had got into a fight with a guard. Well, whenever I got segged up, they took away all my TV privilege. All I had was my radio and they play the same songs over and over. I’m out of my parents’ house and stuff. I immediately just hit streets, and I’m a 26-year-old Millennial. So this is coming from a Millennial and stuff. I just am constantly getting in debates in the streets with people who don’t really know what they’re talking about and also trying to teach people what conservatism really is and try to teach people how our government’s really supposed to run. RUSH: This is incredible. This… I’ve got goosebumps listening to you. RUSH: I really do. The way you described it, you are a hell of a storyteller. CALLER: I mean, like, four years into my sentence, I was still talking about jumping it up from burglaries of houses to armed robbery, and then I discovered your show. RUSH: And you discovered it because they took your TV privileges away. CALLER: Because I was screwing up that bad. CALLER: When I went into seg, I thought Barack Obama was the best thing ever. And then once I started actually, like, learning and stuff like that and seeing how he’s actually screwed up our country, you’ll never catch me saying that ever. RUSH: Can I ask you a question about when you got sent to prison? RUSH: I’m not gonna ask you why, what for, but when you look back on it… Where you are in your life now, you think that a lot of people told you things that weren’t true? RUSH: They had you set up for different thing. Do you think that any of that contributed to the life you were living that got you thrown in jail, or was that nothing to do with it; you were just doing stuff you shouldn’t have been doing? CALLER: — and that talked me into believing that I didn’t get a chance. RUSH: — into an adversarial relationship with law enforcement? CALLER: Exactly. They taught me that I had no chance really, and try to preach to people every single day that you do have a chance. You do have a chance to become an elitist. I was talking to my stepdad one day and, you know, I told him that I wanted to open up rehab and I also wanted to open up a string of businesses. And he told me, “Well, you know, you should just focus on your factory job.” I’ve already signed up for college. RUSH: Let me tell you, what you just said there is so important, and I have often thought that many people end up in life where they end up because family members or parents or other people who were influential with them basically said, “Don’t start dreaming. You’re just gonna get disappointed. Just stick with the way the family’s operating now. Just stick with it. Take the safe route. Be this. Don’t take any risks. Don’t take any chances. You’re not gonna succeed ’cause they’re not gonna let you,” that kind of stuff. And you finally decided to stop listening to them. CALLER: Exactly. And the thing is, too, like, I’m considered the black sheep of the family, probably. Me and my sister. I mean, my grandparents are conservative. My mom doesn’t really get into politics. But any time she does, though, it’s always leaning conservative. My aunt, my uncle? Die-hard conservatives. They’re actually listening right now, because I texted everybody because I was so excited because I’ve had this dream since I was in prison of talking to you on the radio. RUSH: And here you are. RUSH: Here you are. And you’re back home, you’re Traverse City. CALLER: Yes, I’m back home in Traverse City. And one… Like, I’ve got, like, two quick things to say. One, I wanted to tell you very conservative political joke that’s really funny. And then two, I wanted to tell you something by my niece who’s two years old. RUSH: About your niece? Okay. Let’s go with the conservative joke. People don’t think conservatives are funny until they hear me. But I have it a shot. CALLER: Okay, Mr. Limbaugh. Check this out. How many liberals does it take to screw in a lightbulb. RUSH: Uh, let’s see. None. They would refuse to do it. CALLER: Actually, it takes about 30 million. One to change the lightbulb. The rest are there just to make the other lightbulbs feel better about themselves for not working. RUSH: (laughing) I like it. RUSH: Well, what about your niece? CALLER: Okay, my niece Ava, right, she’s three years old. The other day I was sitting in the car, and this right here has actually driven me to want to get your books about Liberty. We’re in the car, she’s three years old, mind you. She’s very, very smart for her age. She’s been tested at like five-year-old level at the age of two, two and a half. One day she was spinning a fidget spinner and she said it’s spinning like rotators on a helicopter. So it shows you how smart she is. CALLER: But she pointed at a car, at a muffler, and said, “That causes pollution.” Where are three-year-olds learning stuff like this? RUSH: What do you think? CALLER: — at a very young age, three years old. CALLER: Yeah. I remember that show. RUSH: — a superhero fighting a Big Business, destroying the planet. You could watch something like Animal Planet, and they would do a feature on how pollution, and they might show a car muffler destroying a giraffe over here. Some such thing. CALLER: It’s like you said many times, who’s to say that this right here is the normal temperature for the earth? RUSH: Exactly! What kind of vanity is it that right now is what’s normal, exactly right. Well, I’ll tell you what, look, this is an amazing story. I want you to hang on so that we can get a shipping address because I want to send you all of the Rush Revere books and the Liberty doll for your niece. RUSH: And I want to make you a subscriber to the Rush website and that will enable you to get the — what kind of phone do you have? CALLER: I have a Galaxy S9 Plus. RUSH: Okay. Well, there’s a Rush Limbaugh app on the Google Play store. 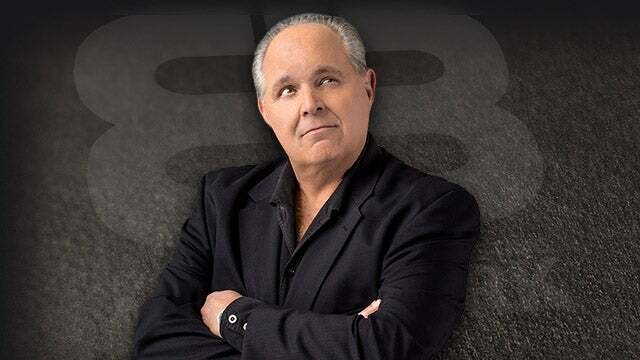 RUSH: We’re gonna comp your membership at RushLimbaugh.com, so you’ll be able to stream the program live or delayed on podcast on that app on your phone whenever you can and want to. CALLER: That would be great. I really I appreciate it. RUSH: Dittocam as well. You’ll be able to watch the program on that app or a website on your computer if you want to. So we’re gonna make you a comp member there, gonna make you a comp member of The Limbaugh Letter newsletter, and if you want, what size is the screen on a galaxy S9? CALLER: It’s a pretty good size. It’s decently sized. RUSH: So you like big screen phones? RUSH: Okay. Well, then I’m also gonna throw in an iPhone 8 Plus, which is a five-and-a-half-inch screen, and if you want to make the move to iPhone you’ll have it there and can do it whenever you want to. CALLER: Could I please mention one more quick thing? RUSH: That would that be. CALLER: Okay, look. This is a real quick conversation that I had with an inmate whenever I was in prison. Right after President Trump got elected, which I told everybody he would, and nobody believed me and then at the end nobody wanted to bet, but, anyway, so he said, “Trump is not for us.” Blah, blah, blah. “He thinks we’re scum.” And I told him I was like, “You know what, you gotta take a look around. We kind of are scum until you get out and prove yourself that you’re not scum.” I was like we wreck homes, we wreck families, all of us criminals. I broke into somebody’s house and stole the stuff that they had hard-earned. I’d be mad if somebody went and broke in my house and stole stuff. I was like, we’re tearing apart communities, people in here selling drugs have killed so many people. I’m like, so you can’t blame them for looking at you like you’re scum, because you kind of are scum. And it was such a hard thing for that guy to face. RUSH: That had to be hard for you to say to him. CALLER: The thing is I’m very outspoken, though. CALLER: I mean, just look at the unemployment rate just in general. CALLER: What did Barack Obama have, 95 million Americans that were unemployed? CALLER: Out of like 340, 340 million? CALLER: That’s crazy. There’s no excuse for that. And I’m glad Trump is turning it around. He’s turning it around fast. I mean, Barack Obama’s the first president in history that’s never made it up to three and a half percent GDP growth. RUSH: This is amazing! You may be guest host material here. Jerome, hang on I’m way long here. I’ve had a blast talking to you, but don’t hang up so that I can get all the data we need to fulfill these, shipping address and other information we need to comp you, send you the books, and get you set up as a Rush 24/7 member. RUSH: That was nothing short of amazing. I’m still kind of speechless about it. I’m asking myself, how does — he’s in prison, and he’s a malcontent, and he gets privileges removed, including not being able to watch television because he’s misbehaving, in his early twenties. Gets tired of listening to music and all of a sudden discovers this program and goes through a transformation. Now, I’m wondering if there wasn’t a little bit of conservatism in him all the time that was just unlocked, or if he was really completely, totally converted. I should have asked. I didn’t think of this ’til after the phone call. ‘Cause you talk about a transformation. I mean, that is a total, 180, almost 360-degree transformation. Not 360, obviously, but that was huge. I mean, this is complete and total. Anyway, let me squeeze one more in here before this hour comes to a screeching halt.